How to Lower A1c Levels Naturally-Powerful Techniques That Really Work! When blood sugar is uncontrollable, it becomes a worrisome thing. You can lower your A1c levels with natural methods. In managing blood sugar/diabetes, the idea of traditional medicine has been embraced and can drastically bring down blood glucose naturally. It’s crucial that you know how to lower A1c levels naturally. Diabetes affects the blood vessels and nerves. It can affect a certain part of the body more than others. If you are very thirsty and tired then you know that it could be your blood sugars may be too high. It can be a possibility that it’s high when you have blurry vision, when you are losing weight fast, and have to go to the bathroom often. Very high blood sugar may make you feel sick to your stomach, faint, or vomit. When your blood sugar is high, it can cause you to lose too much fluid from your body. If diabetes is not controlled well, can damage important organs in the body such as the heart, nerves, eyes, and kidneys. This means that heart disease, stroke, kidney disease, vision problems, and nerve problems can happen to people with diabetes. Increased appetite without weight gain. A1C which is also known as hemoglobin is connected to blood sugar but somehow different too. When you pierce your finger, instantly your blood sugar meter measure the concentration of glucose in the bloodstream. Also, the hemoglobin A1C test measures the percentage of red blood cells with a sugar coating. The A1c blood glucose supplies specific information about your median level of blood glucose for the previous three months. 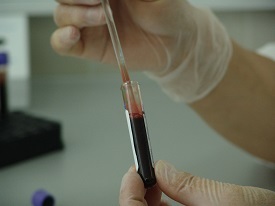 The test can be used to diagnose type 2 diabetes and prediabetes. If the percentage is high, then blood glucose levels will also be high. A1C is said to be dangerous when hemoglobin A1C level is between 5.7 and 6.7%. Any case like this has the chance of developing diabetes because levels of 6.5% or higher mean you already have diabetes. The normal range for the hemoglobin A1C level is in the range of 4% and 5.6%. People with diabetes are required to undergo a hemoglobin A1C (HbA1c) test. This (HbA1c) test measures the average concentration of blood sugar over the normal existence of the red blood cells in the body. So you are expected to undergo a complete cardiac blood profile check if you believe that you have diabetes. This is also known as CBC or Complete Blood Count test. This blood test is extremely important and should be done regularly according to your doctor’s orders. This is the only way to know what’s going on inside your body and this test provides the answers. Don’t skip it! The experts or the analysis are expected to conduct two kinds of the test; a hemoglobin A1C test and a fasting glucose tolerance test. Both tests calculate blood glucose, fasting glucose tolerance test concentrates on the present glucose levels while HbA1c reflects on the average glucose levels over the prior six to eight weeks since they are not influenced by daily fluctuations in the blood glucose concentration. The recommendation is that the test should be done 2 hours after meals. It is also good to do the test every time you wake up, or after eating breakfast, before lunch, after eating lunch, before having dinner, after eating dinner and before going to bed. This routine is advised by experts. They opined that those who did this test routine were able to monitor their blood sugar level better. One out of many ways in which one can lower hemoglobin A1C level naturally is to maintain proper healthy diet as well as involve in exercise activities. Glucose control can be affected greatly when using these two important tools. Generally, this happens when you lower your sugar and calorie intake. The high blood sugar which is caused by too many calories will be reduced. Regular exercise is one of the simplest, easiest, fastest and most effective ways to help yourself. Exercise will consume blood sugar in place of insulin. So you actually get more breathing room in your diet and your blood sugar range will vary considerably less. It may even help balance your food intake and insulin if you need to inject. If you’re prediabetic it helps keeps your sugar in check. Say goodbye to your favorite cakes and chocolates because you need to start lowering your sugar intake little by little as they need to be reduced. Intake of food that is high in carbohydrate and sugar contents should be seriously avoided. Dairy products can be replaced with sugar-free counterparts and non-fat products. Lard and butter which is solid fat, should be changed to liquid oils. Another alternative way of enjoying healthy food is by baking, cooking, and roasting your food. Cardiovascular activities such as walking or running can also help to lower hemoglobin A1C without medication. In order to lower hemoglobin A1C naturally, you should avoid food which has high sugar content and carbohydrates. Many alternative foods are available which enable you to enjoy the food as well as keep you healthy. Resist the unwanted: You should be able to control the demands of your body and resist any unhealthy habits. It may not be easy, but you should try as hard as you can. Healthy Diet: Eat because it is a necessity, not because you like it. Maintaining a healthy diet will go a long way in reducing the A1C level and well worth it! Exercise: Five times or more of exercise in a week can help to strengthen your body, even more if you can. Self-control: You should be able to control the demands of your body and resist any unhealthy habits. Monitor Frequently: Daily monitoring of the A1C level will enable you to understand the state of your health. So it should be made a daily practice. When these guidelines are followed, you would definitely see a significant drop in blood sugar level. This will help to lower your hemoglobin A1C level naturally. It is a well-known fact that medication has so many side effects. Therefore, you should always try to get the best from natural remedies. There is no miracle to help control your diabetes without any effort. You need to make a lot of effort and be dedicated to an exercise regime and nutritional plan to get the required results. Also, a positive lifestyle and outlook is a must. Hence, in order to stay away from medical treatment and enjoy a natural lifestyle, you need to have a healthy living attitude. Apple Cider Vinegar– Apple cider vinegar claims to have numerous health benefits and that drinking a small amount or taking a supplement before meals help curb appetite and burn fat. This has been shown to decrease fasting and post-meal blood sugar levels. High-Fiber Foods– High fiber foods help keep blood sugar levels steady and eliminate big spikes and drops. Start your day with whole grains. It can aid lower cholesterol, prevent constipation, and improve digestion. Follow by having fresh fruit, whole-grain bread, eat your vegetables, dried fruit, fiber-rich beans, peas and other legumes and nuts, seeds, and fiber. More Sleep– Getting enough sleep makes you feel better. It goes a long way in boosting your mood or banishing circles under your eyes. Adequate sleep is the key to sound and healthy lifestyle. It can help your heart, weight, mind etc. to function optimally. Cinnamon Extract Supplement or spice. Cinnamon as one of the most delicious and healthiest spices on the planet does an excellent job of lowering blood glucose levels, lessening your risk of a heart attack and has an overabundance of benefits for your health that are awesome! Eat Chromium-Rich Foods– Vegetables such as broccoli, potatoes, green beans, whole-grain products, beef, and poultry provide chromium which is beneficial for your A1c level. Fruits, including apples and banana, grape juice, milk, and dairy products are also helpful. Doing all that is stated above, and making such healthy changes can help you improve your day-to-day blood sugar management and lower your A1C. Patients with high blood sugar may try herbs and other supplements as a natural treatment to control their blood sugars. Herbs and supplements have doses and they may vary. Your pharmacist can assist you in selecting the products and discussing the ranges, and preventing any herb-drug interactions. There are a lot of herbal products on the market with varieties of batches and it is always preferred to purchase a quality name brand product that has been examined and standardized as regards to active ingredients. The point is that there must be some assurance that you are purchasing a product that will consistently deliver a specified dose of active herb. Irrespective of your reasons for using any of these herbs, you must always let your doctor and pharmacist know in order to prevent any hypoglycemic reactions and dangerous interactions. Because hypoglycemic reactions are deadly, therefore they should be avoided. Let your doctor make the decision. He is she is the professional. Some herbs claimed to have blood sugar lowering effects. Such herbs are not used in Western herbal medicine and are more common in Ayurvedic Medicine and Oriental Medicine. The way and manner the mechanism in it lowers blood sugar is often not known. More so, the overall effect of these herbs varies in individuals and may not work well for everyone. Patient-specific and a combination of these herbs may be required to obtain the desired effect and may at the long run have a side effect. Insulin Plant and Diabetes-What is the Secret of This Miraculous Plant? I enjoyed reading your post on how to lower A1C levels naturally. I am a functional nutritionist, and I have every single client I work with buy a glucometer to track their blood-sugar levels. It puts them in control of their health. Inflammation, insulin resistance, metabolic syndrome, and diabetes all begin with imbalanced glucose levels. Healthy eating, exercise, staying hydrated, managing stress, getting enough sleep, and taking targeted supplements are all strategies that will either prevent diabetes or treat it once a person has it. 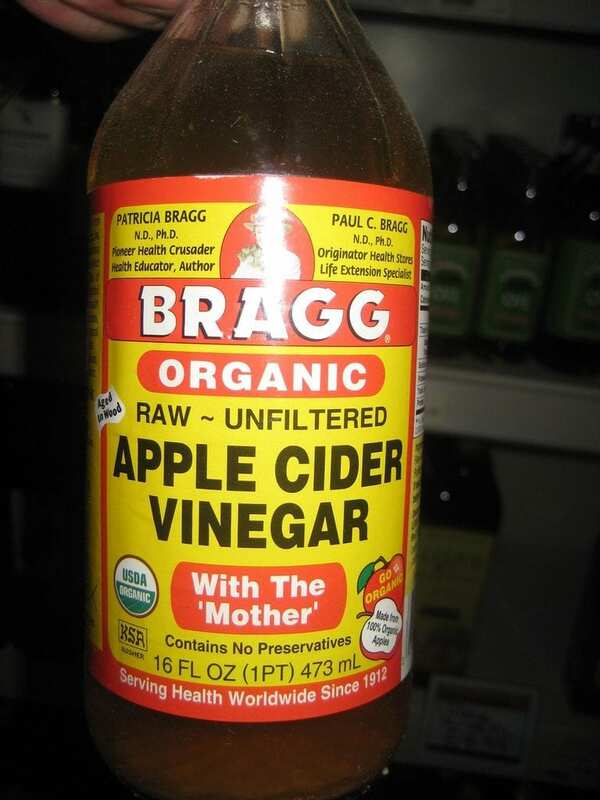 I love apple cider vinegar and use it at least a couple times a week. Chromium is one of my favorite minerals for blood-sugar control and to decrease savings. Berberine is another herb I use a lot, and it’s also antimicrobial. Thanks for this helpful article on how to lower A1C levels. It’s applicable to a high percentage of the population. Hey Holly 🙂 Thank you for reading. I’m sure as a nutritionist you are aware of all the ins and outs of diabetes. 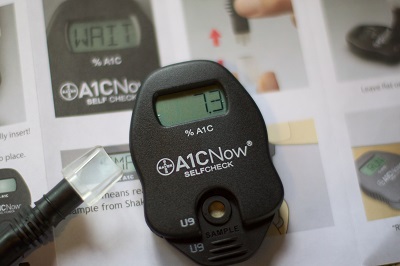 Keeping tabs on blood sugar levels is of the ultimate importance and so is your A1c. Everything you mentioned I talk about in my articles on my website. You’re right, these are absolutely essential to fighting diabetes. There are many ways to keep your A1c in check and I agree about having a glucometer to monitor this. I would like to say first how much I appreciate your knowledge on this subject. Every time I come across one of your posts, I am in awe with all of the time you spend and really being an expert in this category. Thank you again for your great tips and info! I try to have a little bit of apple cider vinegar every day for those exact health benefits you have listed. It tastes awful but it works! Hi Kahlua 🙂 Let me say thank you for being so kind 🙂 I am passionate about helping others lower their blood sugar and fight diabetes the natural ways. It’s so vital to keep track of your A1c levels as a diabetic. And yes, apple cider vinegar is one of the best ways to help with blood sugars. I agree about the taste. It’s awful 🙁 But I mix it with diet cranberry juice which does an excellent job of masking the taste! I really wasn’t aware of all the effects that a high A1c could have. Nor did I realize that unchecked diabetes could start effecting your organs! Scary stuff. I know that some of my family members have issues with this but I don’t see them adopting any of these ideas. I will definitely need to share this with them! Hi Dave, It’s crucial that diabetics check their blood sugar levels and keep them in the normal range because it causes complications. Having your A1c levels low will keep your diabetes in check. Wow this is a really great and complete article I will follow your advice on this one because I don’t want to have diabetes. I heard is a really bad thing and I think is better to control it before it is too late. Hey Felix, Thanks! With diabetes, your A1c has to be below 5.7 or you could have issues. There are many ways to keep it down and as long as you control your sugars, you can lead a normal life. Thank you for this informative article. I have just been told by my doctor that I may be prone to pre-diabetes so I am beginning to research ways of keeping this destructive disease at bay, naturally. I am ready for a lifestyle change if it will keep me healthy and I will follow many of the tips you have provided. Thanks again. Hi Heather 🙂 I’m sorry to hear that you may be prone to pre-diabetes. But there are options to keep it in check and it’s important to have your A1c levels below 5.7. So lifestyle change is the way to go. My whole website is dedicated to helping others lowering their blood sugars and A1c levels the natural ways. The one that sticks out is the Apple Cider vinegar. How can I give this to my son without him knowing he is getting apple cider vinegar? Also, is it really possible to reverse diabetes once you have it? Thanks! Apple cider vinegar is one of the healthiest foods om the planet. I will admit the taste can be very bitter. You can mix it with anything. I usually mix mine with either water or diet cranberry juice. You can slip it in his juice pack or whatever he likes to drink. I know kids are harder to get things down when something doesn’t taste good. As far as diabetes being reversed, by turning things around and getting diabetes controlled, that might be considered reversing it because you can never get rid of diabetes, just control it and live a near normal life. Wow, what an amazing list of natural ways to help diabetes. I think you have it all pretty much covered there. In fact, the advice you have given is everything we say to the patients in the Herbal Apothecary where I work. We have some great chromium picolinate and cinnamon supplements that really work well. Diabetes can be a debilitating disease if not controlled well, and your list of side effects reminded me of that. And getting enough exercise is a great thing to remind everybody of diabetic or not, as it will help prevent it in the first place. Hi Stefanie 🙂 I know how important it is to have A1c levels under 5.7 and to keep them there, it’s vital to do whatever it takes which is what my article and website are about. I also suggest chromium and cinnamon supplements among many other natural ways here. Keeping blood sugar levels in the normal range will help your A1c. And of course it’s about eating healthy and exercise as well. A1c levels are one of the main aspects that people have to look at when they get older or nowadays even younger people have to watch it too. This article really gives us a lots and lots of information about A1c levels and how to manipulate them. I really appreciate you for writing about this topic and sharing it with all of us. When you have type 2 diabetes, it is vital that you control your A1C levels. Nobody wants to be on medication to keep their A1c levels intact. That’s why I wanted to provide the natural ways to do this. Levels that are too low or too high are dangerous. Just starting by eating healthy is going to make a difference, but you still have to exercise too. Follow these techniques and you will be much better off with a normal A1C level. I enjoyed your article concerning diabetes. As a physician I can certainly agree with your statements. Diabetes is a terrible disease, and it is important to treat diabetes before you become insulin dependent. If you are obese and insulin dependent, it is much more difficult to lose weight because insulin will fight against any weight loss. Let me just portray what patients who might read this article need to avoid; they need to avoid getting too fat to exercise because their knees and back hurt too much, on insulin which will keep them from losing weight, and eating poorly because they are depressed and can not get out of the house. If somebody is developing diabetes, time is not on their side; the need for action is urgent! Just as your site states, you need to get active and exercise, cut out the simple sugars (like cakes, pies, cookies, ice cream), cut way back on the calories, and it is urgent you lose weight. It is literally a matter of life and death – and a horrible death at that. Having diabetes increases your risk of amputations, blindness, kidney failure, heart disease, strokes, and a host of other diseases. Thank you for promoting this valuable information – people need to listen. This is certainly great advice coming from a physician! You would obviously know about this being an expert in the field! It certainly doesn’t need to be explained much more in detail for folks to get the message. Losing weight, eating healthy, and a good deal of exercise can go a long way in the war against diabetes. And people do need to listen which is why my website is so important. I try everyday to spread the word about lowering blood sugars and treating type 2 diabetes. Thank you for your expertise and comments! Thank you for the info! I find it very interesting on how to control low sugar naturally. My wife and grandma used to have diabetes and was able to control their blood sugar levels naturally without any medication and after reading you article I was impressed with the apple cider vinegar benefits. I will keep this information very much in mind and I hope to put it into practice and thank you again..
It’s harder to lose weight and control your A1C levels and diabetes as you get older. Yes, apple cider vinegar can be a huge help with lowering blood sugars. I love the benefits that apple cider vinegar provides. The best thing we can do in fighting diabetes is to lower our A1C levels the natural ways. Medications are just masking the issue. I hope that anyone reading this will learn and use the natural ways to lower your A1C levels. Thanks for the helpful and informative post. As we all know controlling blood sugar is a biggest threat & challenge nowadays and it becomes a part of life for many. People are really struggling with it. The symptoms you provided are very helpful and by providing natural ways, you are doing a great service. Many of my relatives are affected with this and for sure I am gonna share your post with them. Since we are from southern part of India… Our main food is rice… May I ask for sugar patients is it good to avoid rice (Normally we intake at least two times rice and in some cases 3 times in a day) Please advice. I just believe that the healthier we eat and the more we exercise the healthier we will be. It’s poor eating choices and lack of movement that brings on type 2 diabetes. Then our A1C levels rise and that’s not good. But it doesn’t have to be that way at all. It’s all about lifestyle changes and once we decide to change, so will your diabetes as well. As far as rice goes, it’s okay to have rice, BUT within moderate amounts. Too much is going to be harmful because of the carbohydrates which is normally a diabetic’s enemy. And brown rice is the better rice to have. Your comments are very much appreciated Thank you! Wow, reading the ways that diabetes reeks havoc on your body, I’m surprised that my good friend continues to eat sugary foods on a regular basis. When I shopped with her, she picked up a 24-pack of puddings, tons of sweet treats like cookies and candies, and when I said, “I didn’t think you were supposed to eat this kind of stuff with diabetes,” she responded, “I keep them on hand for when my sugar gets too low.” Isn’t there a better way to deal with a low sugar number than consuming this junk? She takes insulin when she eats, and her sugar must get low pretty often because when I took her to the store the following week, she bought another 24-pack of puddings and more sweets. I want to help her, so I’m going to direct her to your site. I am shocked that your friend is eating this way. Having high and low blood sugars all over the chart is simply no good! I can’t imaging being on insulin and eating all that sugar because that’s negating the insulin effect. She should be on a special diet such as the Paleo or Ketogenic diet. She must be eating foods that keep that A1C level in the normal range. She should be testing her blood sugars regularly and it sounds like she needs to see her doctor and immediately! Thanks for sending her to my site. There’s a lot here that can help her! It is always truly amazing to me how our bodies are affected when something is out of balance. Thank you for such a detailed and informative article on lowering A1C levels. I always love and prefer doing things naturally, especially when it comes to my own body, so this article is right up my alley. I agree that a healthy diet and exercise are key to a myriad of positive health changes! It’s so vital to know and keep your A1c levels in the normal range to stay healthy and avoid diabetes. These techniques are natural ways that you can maintain and control your A1c levels. If you are a diabetic, it’s crucial that your blood sugar numbers are checked regularly and that you follow the proper diet and exercise regimen. It’s wise to visit your doctor frequently to get your labs done to see what your A1c levels are.